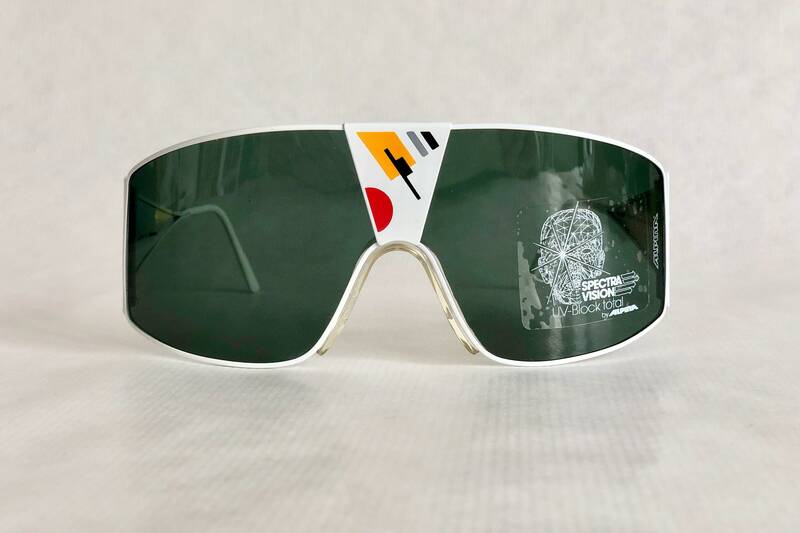 Handcrafted in West Germany. New Old Stock. 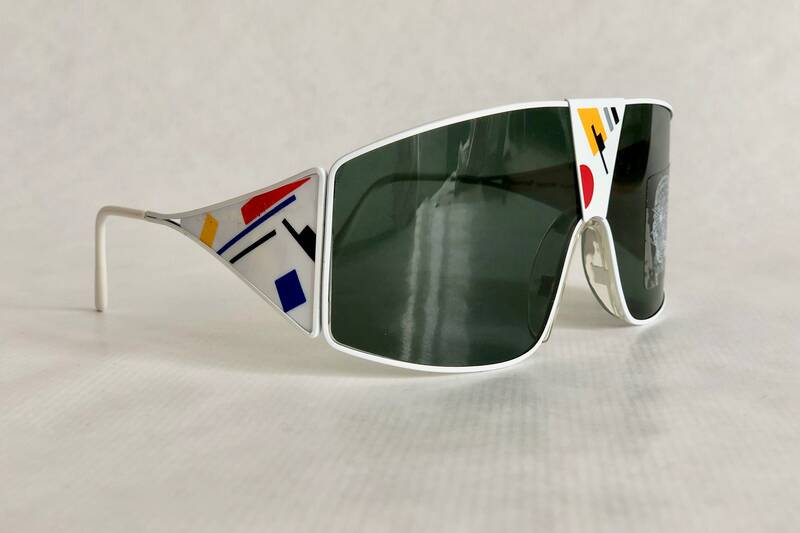 Frame and lenses in perfect condition. Including original box, softpouch and cardboard inlay. 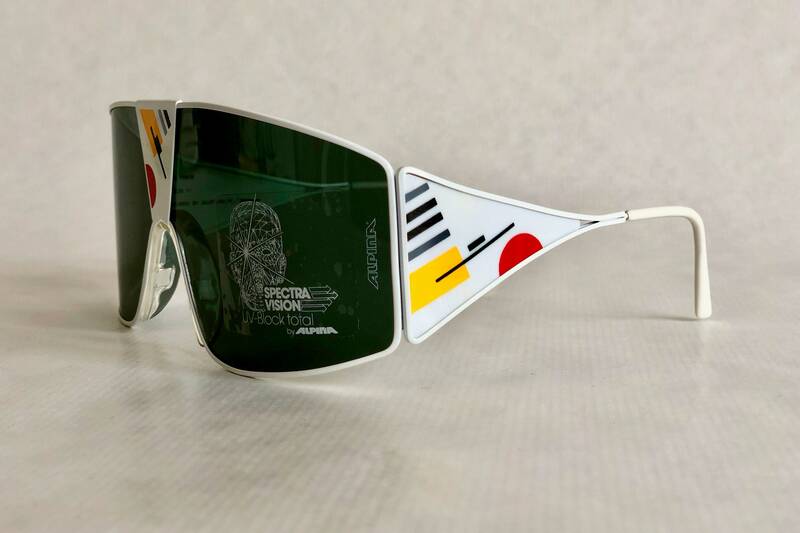 Featuring an original Pop Art design on the front, the «Time Piece» model from the Alpina Talking Glasses series is one of the rarest and most coveted pieces of the series. All inner temple markings intact. 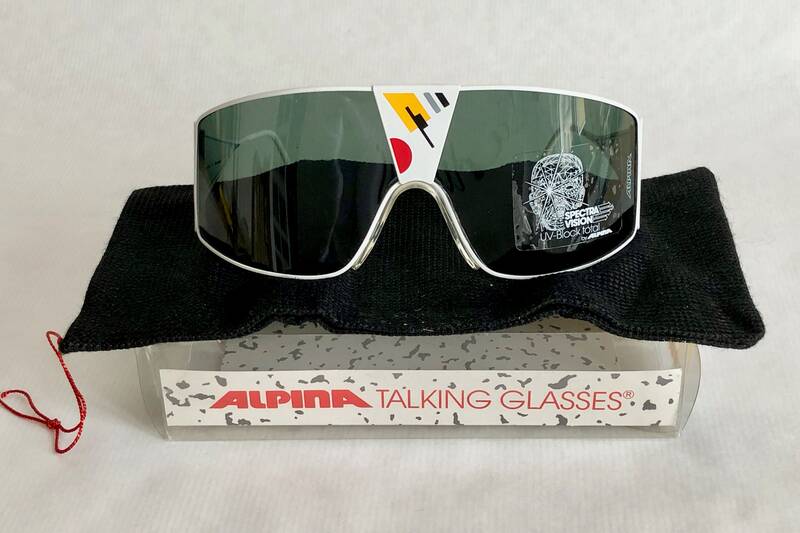 An iconic piece for all Alpina connoisseurs that love the M1, M4, M6, Stratos, Genesis Project and Goldwing lines. Frame: White with «Time Piece» decor. 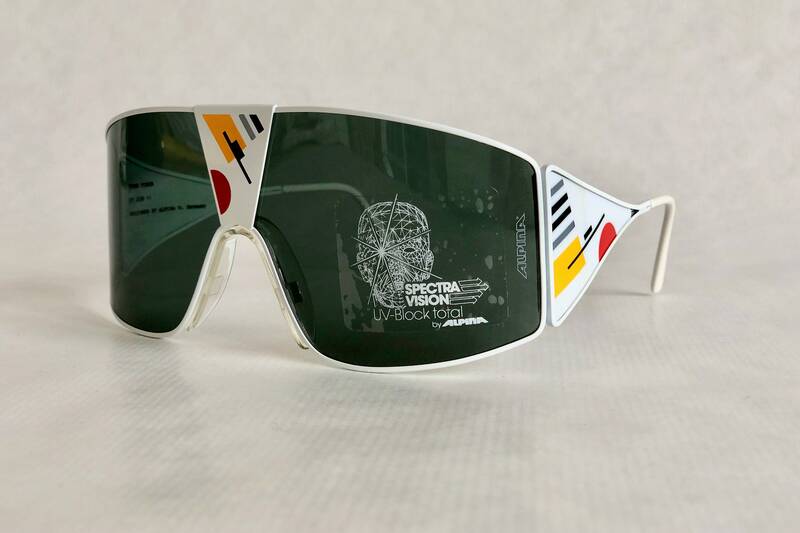 Lenses: Original dark green Spectravision tints with Alpina logo, 100% UV protection and removable sticker.